I don’t know about you, but I LOVE mangos. I’m pretty sure I’ve loved them for a very long time and I’m not really sure how anyone could NOT love them. But hey, whatever floats your boat. I actually can’t look at mangos or eat one anymore without thinking about a particular story and since I hate when people bring stuff up and then don’t share, I’ll share the story with you 😉 cuz I’m nice like that. Ok- so my family was in Cabo one summer, and I think we were driving home from probably the most depressing zoo of my life, when we saw a guy with big paper bags FULL of mangos for sale. My dad asked if anyone wanted to stop and buy some and of course my little mango loving self in the back seat shouted “YES! 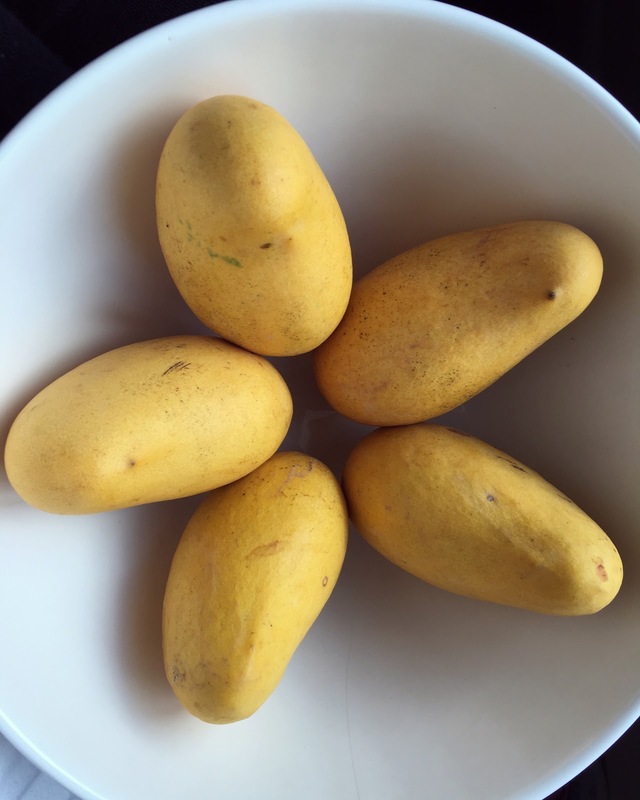 !” (Note: I’m not the only one who loves mangos, I’m pretty sure it’s genetic and everyone in my family got the dominant mango loving gene) So we took a massive bag (of already RIPE mangos) back to our hotel and immediately started devouring them. I don’t think my little heart could have been happier! Now, let’s fast forward two days…surprise, surprise, we were all sick from eating so many mangos. And I mean sick…think 3 grams of fiber per mango….. it was a rough day or two after that binge and we still had at least half of the mangos left!!! That’s how big that dang bag was. It literally felt like a never ending supply of mangos. Which would have made me happy, if I hadn’t just missed a day of swimming to sit on the toilet…. I believe we ended up giving or throwing away the remaining fruit since no one could handle any more mangos after that. Hahaha. So now you all know what I think about when I eat or see mangos and hopefully you think about something a little more pleasant. I can laugh about the story now, but man, I’m not sure my body has ever hated me more than during that mango cleanse!! Next Next post: When you need a little extra fiber….